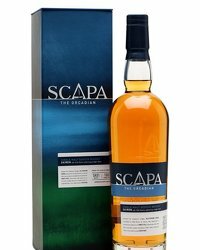 Scapa Distillery, based in Orkney on the shore of Scapa Flow has recently launched a special edition to help raise funds for the RNLI. Crew member Graham Campbell and Nicola Stevenson, Scapa Distillery Visitor Manager, present Scapa Jutland, a new single cask single malt Scotch whisky crafted to mark the centenary of the Battle of Jutland on 31st May 2016. 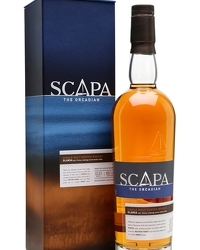 Scapa was used as a base by the British naval fleet during the First World War and the artisanal island single malt distillery has released 249 bottles of Scapa Jutland (RRP £200) with all profits from their sale, estimated at over £45,000, to be donated by Chivas Brothers to the RNLI. Of the 249 bottles released, 11 have been named in memory of ships from the British and German Navies that fought during the conflict, including HMS Invincible, HMS Queen Mary and HMS Collingwood and HMS Indefatigable. HMS Indefatigable will be placed up for auction through Master of Malt in future in order to raise further funds for the RNLI. Produced in association with the family of Admiral John Rushworth Jellicoe – Commander of the British Grand Fleet that fought at Jutland from 30th May to 1st June 1916 – Scapa Jutland is exclusively available from the Scapa Visitor Centre alongside the centenary commemoration of the Battle of Jutland on Orkney, 31st May 2016, at the RRP of £200. Scapa and the British Royal Navy share over 100 years of cooperative history dating back to when Admiral Jellicoe used the distillery, situated overlooking the Scapa Flow on the remote Orkney Isles, as his base during the First World War. Admiral Jellicoe saved the distillery from a fire during his tenure and thanked Scapa for services rendered during the war, by building a wooden staircase in the mill room as a memorial to the British Royal Navy.